Terasic technologies is a leading manufacturer of high performance hardware and software solutions for the ASIC prototyping, multimedia and image processing markets. 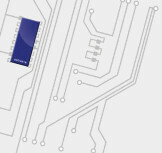 Terasic produces highly optimized FPGA systems that enhance the development of cutting edge products. Terasic's design and manufacturing processes are ISO-9001 certified. Product testing and final assembly are performed in-house to ensure the highest level of quality and functionality. Their quality assurance team monitors the entire production process, tracks inspections, and performs intensive functional checks on all its products. As part of their product line Terasic design and manufacture development kits, daughter boards and programming cables for the Altera range of FPGA and CPLD devices. Being an Altera Core partner you can be sure that their products are of the highest quality and fully compatible with the Altera development tools. As UK distributor we supply most Terasic products and offer fast and efficient dispatch times to customers within the European Union. DE5a-Net, DE5-Net, TR5, TR4, DE4, DE3, DE2, DE1, DE0, DE0-Nano, Altera SoC families of development boards. The Terasic USB Blaster Cable is available for direct purchase through our online shop below. All other Terasic product sales are handled by direct enquiry so that we can ensure the very best service and advice is offered prior to placing your order. Please contact us to discuss your requirements. Summary: 100% compatibility with the Altera cable at a fraction of the price. Copyright © 2007-2016 Absolute Data Services Ltd. All rights reserved.